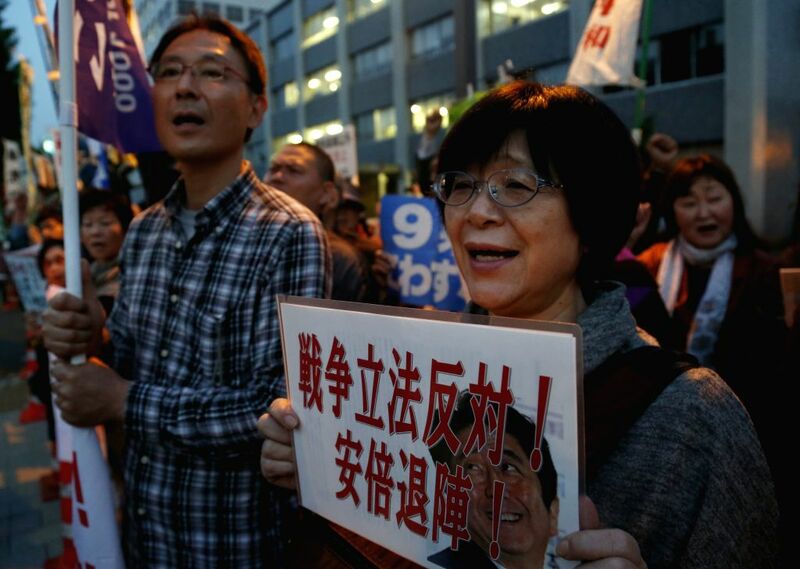 TOKYO, April 27, 2015 - People holding a banner shout slogans during a protest against revising Japan-U.S. defense cooperation guidelines in front of the Prime Minister official residence in Tokyo, Japan, April 27, 2015. About a hundred people participated in the protest. 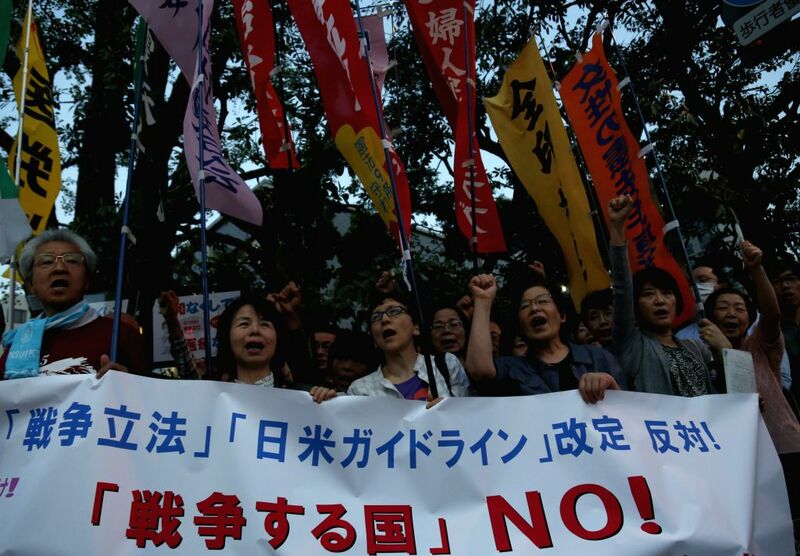 People attend a protest against revising Japan-U.S. defense cooperation guidelines in front of the Prime Minister official residence in Tokyo, Japan, April 27, 2015.